We’ve gone through all of the current and most recent Huawei phones to find the best ones you can buy, no matter how much money you have. There’s a wide variety of devices to choose from, but we can think of a few excellent standout products if you are looking for your next phone. One quick note: We are concentrating on phones in this article that just have the Huawei branding. This list does not feature phones with Huawei’s Honor brand. Without further ado, let’s jump in and look at the best Huawei phones on the market right now. The latest flagship Huawei phones are the Huawei P30 and P30 Pro. The P30 Pro may be the best Huawei phone ever made, and a case could be made that the P30 Pro might have the best camera hardware on any smartphone you can buy. The sensors, co-developed with Leica, start with four cameras in the back. The main sensor is 40MP, which supports the new SuperSpectrum RYB (Red-Yellow-Blue) filter, which allows for better detail in images, including in low light conditions. The phone also has a 20MP rear sensor and a third 8MP periscope lens which supports 5x optical zoom. Finally, the P30 Pro has a fourth Time-of-Flight (TOF) sensor for gathering depth information so you can take better bokeh-style portrait shots. Huawei’s AI software will also help to create better images as well. The standard P30 has three rear cameras (40MP, 16MP, and 8MP with 3x optical zoom) and both phones have a single 32MP front-facing camera. 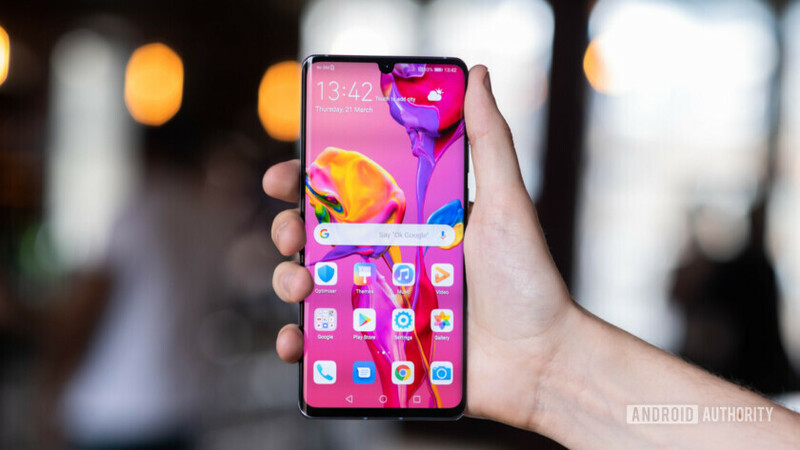 The standard Huawei P30 has a 6.1-inch flat OLED display, while the P30 Pro has a larger 6.47-inch dual-curved OLED screen. Both phones have an in-display fingerprint sensor and a dewdrop notch design. Both also have Huawei’s in-house Kirin 980 processor. The standard P30 has 6GB of RAM and 128GB of expandable storage, while the P30 Pro has 8GB of RAM and models with 128GB, 256GB and 512GB of storage. The regular P30 has a headphone jack and an IP53 water resistance rating, while the P30 Pro lacks a headphone jack but increases its water resistance rating to IP68. The regular P30 has a 3,650mAh battery, and support for up to 25W for charging, but with no wireless charging support. The P30 Pro has a 4,200mAh battery but boosts the wired charging up to 40W, which means it won’t take long for it to charge up fully. In addition, the P30 Pro not only supports wireless charging but also reverse charging, so you can power up other Qi-based devices wireless with the phone. Both the P30 and P30 Pro come with Android 9 Pie and Huawei’s latest EMUI 9.1. Pre-orders are already available in the UK and other markets for both phones. the Huawei P30 costs 799 euros (~$902). The 128GB version of the P30 Pro is priced at 999 euros (~$1,128), the 256Gb version goes for 1,099 euros (~$1,241) and the 512GB variant will be highly expensive at 1,249 euros (~$1,410). That’s the price that must be paid to get the best Huawei phones currently on sale. The Mate 20 and 20 Pro are the first high-end Huawei phones powered by the company’s newest in-house processor, the Kirin 980 — the first commercially available 7nm smartphone chipset. 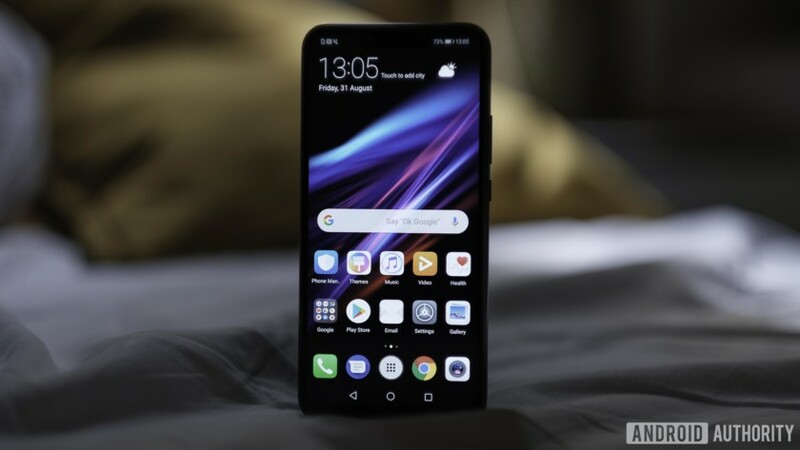 The standard Mate 20 has a 6.53-inch LCD display, along with a 4,000mAh battery that supports the standard Huawei Supercharge feature found on the Mate 10 Pro and the P20. It comes with either 4GB or 6GB of RAM, and 128GB of onboard storage. The Mate 20 Pro has a curved 6.39-inch OLED display, with a large notch on the front to support its 3D depth sensing 24MP camera. It sports a 4,200mAh battery with a 40W charging rate, allowing the Mate 20 Pro to charge up to 70 percent of its capacity in just 30 minutes. The Mate 20 Pro also has an in-display fingerprint sensor. It only comes in one model, with 6GB of RAM and 128GB of storage. Both phones have triple rear cameras. The Mate 20 has an 8MP 3x telephoto lens, a wide 40MP sensor, and a new ultra-wide 20MP sensor. The standard Mate 20 has a 12MP primary sensor, an 8MP 3x telephoto lens, and a 16MP ultra-wide sensor. The phones’ AI chip will offer a number of features, including “4D predictive focus” which is supposed to track the main object of your photo to keep in focus. and more. Pricing for the Mate 20 is at $540 while the Huawei Mate 20 Pro is available for $790. Huawei also launched another member of the Mate 20 lineup — the Mate 20 X. It’s a gaming-oriented handset, with a massive 7.2-inch display. It shares most of the same hardware specs as the Mate 20 Pro, but it has a huge 5,000mAh battery and a new, graphene-based cooling system designed to keep the phone from running hot during gaming sessions. Huawei also sells an optional gamepad attachment for the Mate 20 X, along with a stylus. The phone is priced at $1,198 with 6GB RAM and 128GB of storage. It’s still one of the best Huawei phones you can buy, even with the introduction of the P30 lineup. Quitely announced alongside the Huawei P30 and P30 Pro, the P30 Lite is basically another name for the previously released Huawei Nova 4e. It has a 6.15-inch display, Huawei’s Kirin 710 processor 4GB RAM, and 128GB of expandable storage. It also has a triple rear camera set up, with a 24M main sensor, an 8MP secondary camera, and a 2MP depth sensor, along with a big 32MP front-facing camera. You also get a 3,340mAh battery and a 3.5mm headphone jack.It comes with Android 9 Pie out of the box, with the EMUI 9.0 skin. It’s already available for sale in some markets like South Africa, which has priced it locally at 5,499 rand (~$381). It will expand to other markets in the spring, but it’s not likely to make it to the U.S. With its high-end hardware for a lower price, the Huawei P30 Lite is looking like it will be the best mid-range Huawei branded phone on the market. Triple rear cameras: 24MP, 8MP, 2MP; front 32MP camera. The Huawei Mate 20 Lite has a big 6.3-inch 2,340 x 1,080 resolution display, and inside you get 4GB of RAM and 64GB of onboard expandable storage, along with Huawei’s Kirin 710 processor. You also get two rear cameras; a 20MP main sensor and a secondary 2MP camera. The front cameras get the higher pixels, with a primary 24MP selfie camera and a 2MP secondary sensor. There’s also a 3,750mAh battery with 18W fast charging features. It’s available for $290. The P20 Lite sports a modern design and solid specs. The handset features a 5.84-inch Full HD+ display and is powered by the Kirin 659 chipset. It also comes with 4GB of RAM, a dual-camera setup at the back, and a 3,000mAh battery. There’s even a headphone jack on board, which is missing on the P20 and P20 Pro. In Europe, the phone retails for around 235 euros. It wasn’t officially released in the U.S. but you can still get the international model on Amazon for $226. The Huawei P Smart 2019 edition may be a budget phone, but you get quite a bit for the money. It has a big 6.21-inch screen, along with 3GB of RAM and either 32GB or 64GB of onboard storage. You also get dual rear cameras, with a 13MP main sensor and a 2MP secondary sensor. Oddly, this phone can be bought with either a single 8MP front-facing camera or one with a single 16MP front camera. It runs on Huawei’s Kirin 710 processor and has a 3,400mAh battery, along with Android 9 Pie out of the box. If you really like Huawei’s products, but don’t want to spend a ton of money, this phone might be for you. Amazon currently sells the 3GB RAM-32GB ROM version of the phone for $185, making this the best low budget Huawei phone you can buy right now. However, it is the international variant of the device, which means it doesn’t come with a warranty. so buyer beware. The 2018 edition of the Huawei P Smart may be a budget phone, but you get quite a bit for the money. It has a 5.65-inch screen, along with either 3GB or 4GB of RAM and either 32GB or 64GB of onboard storage. There’s a 13MP main rear sensor and a 2MP secondary sensor, along with an 8MP front-facing camera. It runs on Huawei’s Kirin 659 processor and has a 3,000mAh battery, along with Android 8.0 Oreo out of the box. You can find it on eBay for $177. This is a version of the Honor 7x, rebranded for the U.S. market. It has a 5.93-inch display, 4GB of RAM, and 64GB of onboard storage, and has Huawei’s Kirin 659 processor inside. It has two rear cameras; a main 16MP sensor and a 2MP secondary camera, along with an 8MP front-facing camera. It also has a large 3,340mhA battery. It’s available on Amazon and other retailers for $220. We will be constantly updating this list when Huawei launches new devices in all of these price ranges. In the meantime, do you agree with our picks for the best Huawei phones? Let us know your thoughts in the comments.